Miranda, Ambroxio Huici (1970). 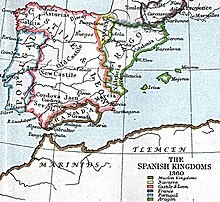 "The Iberian Peninsula and Sicily". In Holt, P.M; Lambton, Ann K.S. ; Lewis, Bernard. The Cambridge History of Islam. Vol. 2A. Cambridge University Press.